1. When did you start your blog and, for anyone who is just seeing it for first time, please provide a description of your site. Would you say your blog focuses more on sharing stories with your readers, or providing a resource for your audience? I started blogging in August 2011. 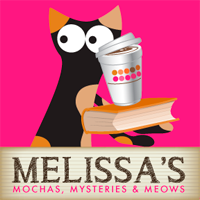 Mochas, Mysteries and Meows is the purr-fect destination for everyone who embraces a cozy, cat-centric lifestyle: curling up on the couch with a warm beverage, a great book, and a cat...or 3. 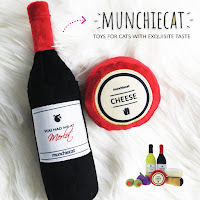 Our focus is pretty much 50/50, part chronicling my cat lady life with Mudpie alongside reviews of products for both cats and cat moms and sharing the knowledge I've accumulated in three decades of life with cats. 2. What was your proudest blogging moment of 2016? Winning a Muse Medallion and Certificate of Excellence from the Cat Writers' Association for our blog on my very first time entering and being named a Finalist for the BlogPaws Nose to Nose Pet Blogging and Social Media Awards in the Best Blog Post category (for Truffles' Remember Me farewell post). Our Last Day Together, 365 Days Ago was written to chronicle my memories of the last full day Truffles and I spent together leading to that final tragic night. After losing two cats on July 7th two years apart I dreaded the coming of that horrid day (I know that I will for many years to come) and that post allowed me to get some of my feelings out. Writing is very therapeutic for me. 4. Year after year, one goal that we all seem to share is that we want to reach more people. What one tool did you use or action did you take this year that had the most impact on increasing traffic to your blog? 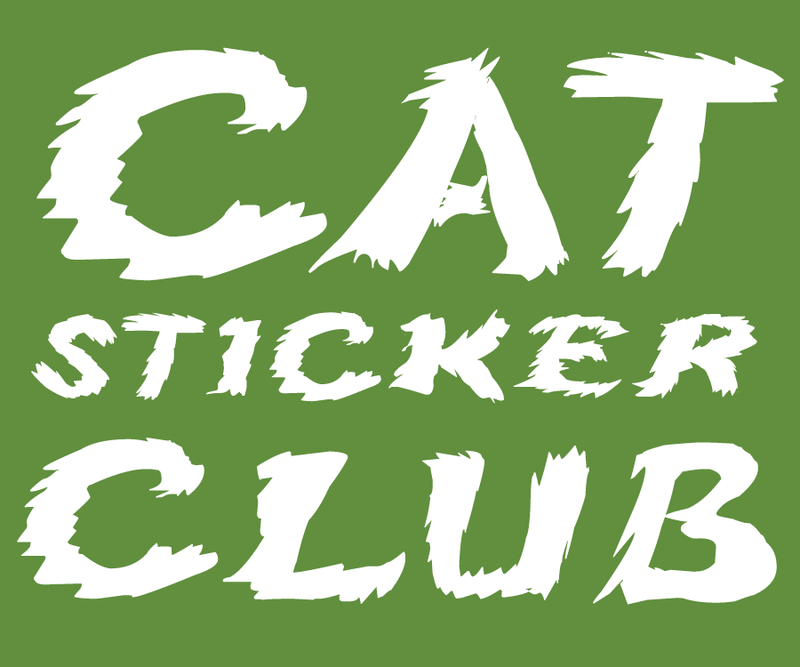 Not something I could have planned, but the honors we received from BlogPaws and the Cat Writers' Association definitely got us "out there" to a wider audience! 5. Which of your blog posts got the most traffic this year? (Please include a link.) Have you noticed any themes across your most popular posts? Saving Raggedy Ann Parts 1 and 2, Mudpie's interview with an innocent victim of animal hoarding in Arizona was my most viewed post. That made me so happy because one of our goals for 2017 is more of these features on real cats with incredible stories. I haven't noticed a theme among posts that do really well (other than giveaways of course). Our second most popular post of the year was our 2016 Holiday Gift Guide for Tortie Lovers which will most likely be an annual event now...us tortie fanatics have to stick together! I can't pick just one. From blogs with photography that leaves me in awe to those that teach me something new with every post to others who never fail to leave me with a smile on my face...the pet blogosphere is truly special with an incredible amount of talent. My fellow bloggers inspire me on a daily basis! 7. What is one thing your readers don’t know about you or your pets that would surprise them? The first time Mudpie and I met in person was the day I brought her home (my adoption paperwork had already been completed and approved). 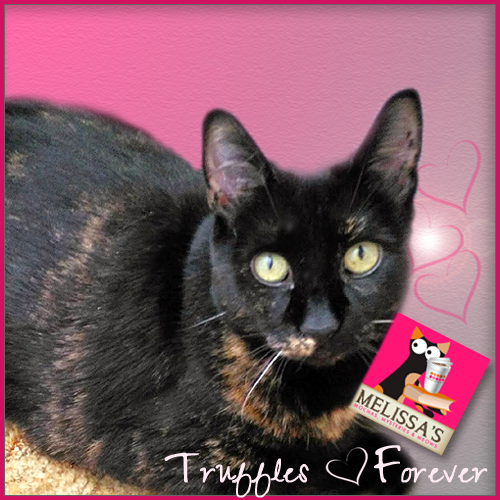 When adopting an animal it's always wise to spend time together at the shelter to make sure you click, but when I saw her picture on PetFinder I had the same gut instinct that I had the first time I saw Truffles (who I also met for the first time on the day I picked her up at Petco). Definitely not the way I'd recommend that people adopt a pet, but so far it's worked for me! 8. What is something you’ve learned this year that could help other bloggers? Just be yourself; be authentic.One of the most meaningful comments I received this year was that I write from the heart which is actually very easy because cats *are* my heart. 9. What would you like to accomplish on your blog in 2017? My goal is to continue growing our blog and to use it as a stepping stone towards freelance writing for a national publication, either online or print. 10. Now it’s your turn! You have the attention of the pet blogging community – is there a question you’d like answered, or an aspect of your blog that you’d like input on? I would love to ask our readers what they want to see more of on the blog. Do you have a favorite feature? A topic you would like us to cover? Please let us know!!! Loved learning more about you and your blog! Congrats on your achievements to date and wishing you continued success and happiness this year! I really enjoyed reading all your answers! You are so right about being authentic - I think that is the most important part of having a blog that is successful (whether that means creatively or monetarily, or both). I just loved reading these answers, Melissa. I am always inspired by how authentic and refreshing you are as a blogger, and it goes without saying that we love visiting your blog each day. Yours and Mudpie's blog truly is such a cozy and fun place to be. And I honestly love your answer to #7. Not only do I admire the honesty in it, but I think that is such a special part of the relationship you and Mudpie have. As for you #10, we will enjoy reading your blog no matter what. We love the book reviews you do, and the interviews you do with other kitties, and seeing your entries to weekly blog hops. As a huge advocate for special needs kitties and their adoption, I love reading any and all posts that you have relating to this. Pretty much, we love your blog! We just joined you (and the cat blogosphere in general) this year, so we enjoyed learning more about you and Mudpie. The post "Our Last Day Together" was the one post anywhere that had me streaming tears and stuck in my heart... because it was written so well and because I so powerfully identified with the pain and loss. Melissa's heart, and my fangirl crush on Mudpie (maybe more pictures this year?!?! ), makes this blog so precious to me. I always look forward to your blog, each day, Melissa. You and Mudpie are a bright spot in my day. We loved your answers! Guess what? When Mommy found Lexy she never took her out of her cage or held her. She petted her and just knew they had to be together. And with me, after a few minutes she said I was hers. And I was sick! You had an exciting blogging year in 2016 with all your awards and honors -- I imagine 2017 will be no different! 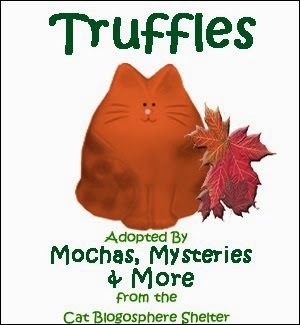 Interesting that you adopted Truffle and Mudpie the first day you met them. That's how I adopted Delilah and Sampson too (on two separate occasions.) We met Sophie several times before adopting her, we hung out with Sassy outside a lot before we rescued her off the streets, and I had met Kylo Ren one other time before my husband surprised me with him on Valentine's Day. Caster I rescued from outside too, so I suppose I adopted him the first time we met too. Wow, this has been a long rambly comment! MOL! I just hadn't really ever thought about how much time I had spent with each of the kitties before adopting them. I want more Mudpie, of course. If'n TW wasn't so lazy, I'd like her to take this challenge. Thank you so much for participating in the Challenge, Melissa! And wow - how fantastic to be honored by the Cat Writer's Association and BlogPaws in the same year - good for you! I think your goal to share more stories of cats doing incredible things in the coming year is wonderful, and I can't wait to see where it takes you. Good luck! I love your blog because you always write from the heart and I so appreciate that. As a person who is allergic to cats, I live vicariously through others so visiting amazing blogs like yours helps to fill a void in my soul that can't be filled any other way. I loved your anniversary post ...really touched me as I know first hand how painful they can be. I had the same experience with Ruby - just seeing her picture I had a feeling. When we went to meet her in the foster home, the second we met her she rolled over and let us pet her belly - that was pretty much it for me! Loved reading this and learning more about you. And congrats on all the success this year. Wishing you and Mudpie and the blog the best in 2017! Congratulations on sticking with blogging for so very long and all of the success you've experienced. It's so very impressive. Congratulations on your awards and recognitions! We actually adopted Delilah in the same way you adopted Truffles and Mudpie. :-) The Lab rescue suggested her and we said yes, so on a transport she went. She's a real love, but it's been a road. It has been amazing to watch you gracefully handle the passing of two cats in the time I've known you. It takes a lot of strength to do that. Congratulations on that Muse Medallion! I was at the ceremony and when I heard them call your name, I was really overjoyed. You work really hard on your writing and you deserve the recognition. 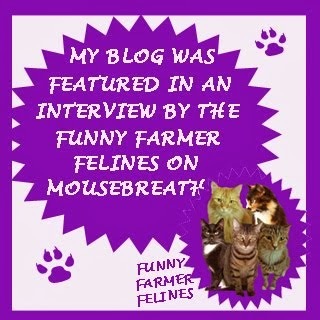 What I love seeing on your blog most is Mudpie's cattitude coming out. It is fun to see her playing and hearing about the ways she relates to you. Your book review posts are great too - you can really see your love of books in them. I think you are well on your way to your goal of being nationally published. :) You are pawsome! Keep up the hard work. Congrats on your nominations and recognitions last year. It feels good to know that all of the hard work we put in isn't going unnoticed. It's great that it expanded your audience too. Good luck in 2017! All your nominations are something to really be proud of! We come by mainly to see what the Tortie kitty is up to. My mom really wants to have a Tortie one day. I remember reading your 365 days ago post. It brought me to tears with your openness in your grief. I really enjoy following your blog. Your nominations are well deserved!